Well what a 2016! And looks like it's having a knock-on effect! A belated Happy New Year to all you lovely, happy people looking to celebrate and have us as your London wedding band and rock with you in the near future! I had the summer of my life last year, as a new member of Festival Foxes, adding to the other exciting tours overseas. It's a huge pleasure being part of such an awesome and talented family of dudettes ... it smells way nicer too ;) More importantly though, getting to be the wedding band for the most important day of some people's lives, is something that will never not make me smile. 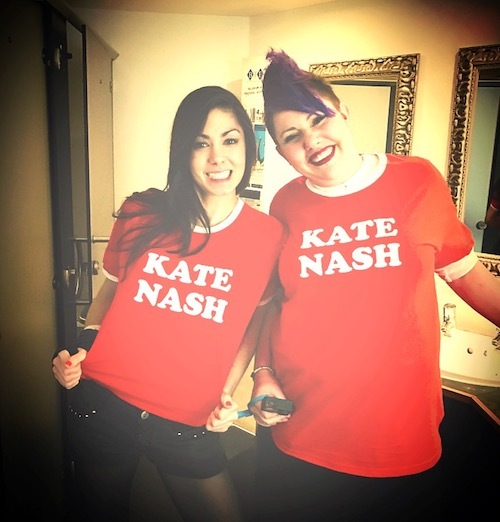 This blog is currently coming from Birmingham, where I've just watched our super talented bass player Emma, who played for a sold out gig for Kate Nash tonight. And it's fair to say she rocked it! 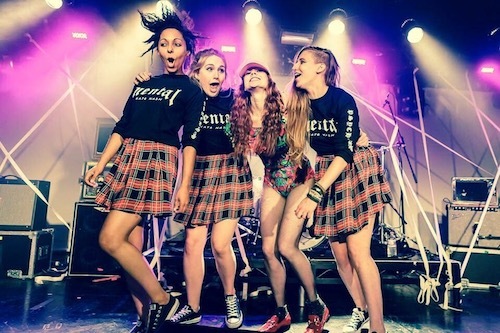 Here she is on stage with Kate Nash, second from the left. And far right, is a former Festival Fox, Linda too! With the new year, comes a new repertoire - we hope you like it! And of course, any suggestions are most welcome! Look forward to partying with you all.